A mural at the new CH Distillery features a colorful portrait of Peter Schoenhofen, founder of Schoenhofen Brewery. 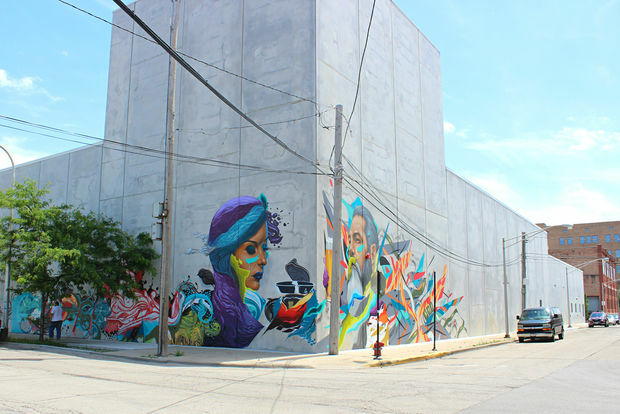 EAST PILSEN — A mural at the new $12 million CH Distillery facility in East Pilsen pays homage to the site's boozy past. The mural, which adorns the cement exterior walls of the new 50,000-square-foot distillery at 16th and Clinton streets, features a colorful portrait of Peter Schoenhofen, founder of the defunct Schoenhofen Brewery, which produced beer at the site up until about 70 years ago. After the decades-long dry spell, CH Distillery is now producing booze on the campus again — this time in the form of spirits. 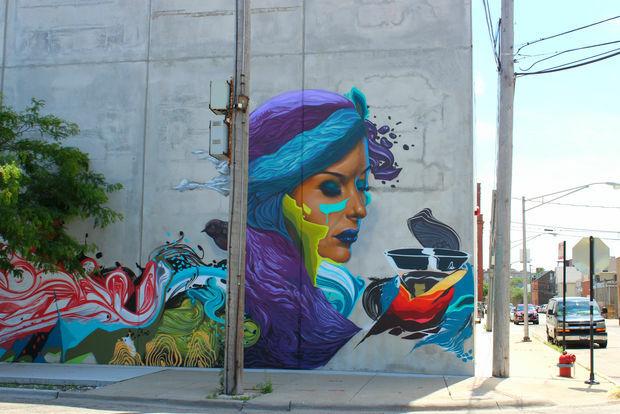 Four Chicago-based artists — Won Kim of Lakeview (who also serves as executive chef of Kimski in Bridgeport), Max Sansing, a native of Avalon Park, and Ruben Aguirre Jr. and Czr Prz, both of Pilsen — collaborated on the new mural, said Ali Schwartz, CH Distillery spokeswoman. 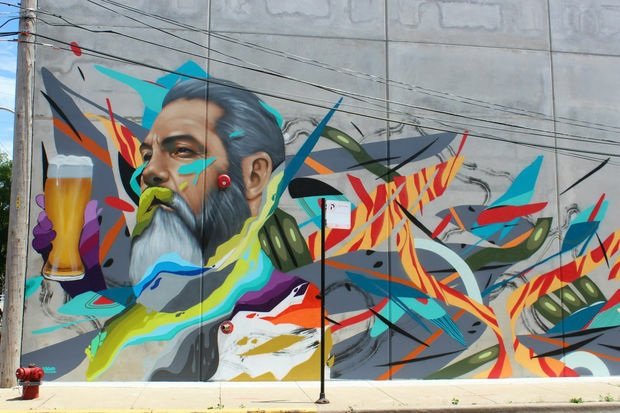 Each artist painted portions of the mural in his signature style over the course of a month, Schwartz said. Melting some things together with @maxsansing for @chdistillery. @revisecmw and @no_vwlz around the corner. Born in 1827, Schoenhofen learned the distillery business in his native Germany. After immigrating to America, the brewer worked as a cider presser on a farm in Poughkeepsie, N.Y., at a small brewery near suburban Lyons and at M. Best's brewery on 16th Street, Schoenhofen founded the Schoenhofen Brewing Company in 1863, according to his obituary. At its height, the brewery once produced 250,000 barrels of beer a year on the campus. When he died in 1893, Schoenhofen was "worth several millions," his obituary read. Schoenhofen produced Edelweiss beer until 1920. During Prohibition, Schoenhofen manufactured Green River soda, and Al Capone famously rented a few brewery buildings to warehouse his bootleg beer, according to a 2006 Sun-Times story. The brewery resumed producing other alcoholic offerings after Prohibition ended, but closed for good in 1950. Opposite of Schoenhofen in the mural is a portrait of a woman holding a cocktail, a nod to the site's future as a distillery producing organic grain-to-bottle CH Vodka, CH Key Gin, CH London Dry Gin and barrel-aged rum. The new East Pilsen distillery will also help increase its production of specialty liqueurs, including a line in collaboration with The Dogma Group. 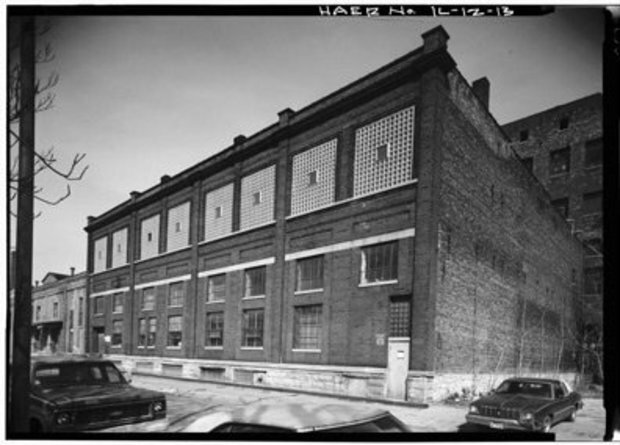 CH Distillery Pilsen was built on land that was home to a Schoenhofen building before it was razed. 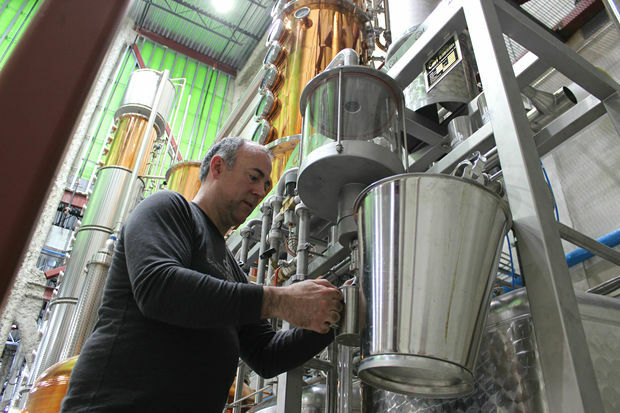 In addition to the distillery, the 2½-acre site features grain silos holding 75 tons of organic Kane County grain, a barrel-aging room and a 50-foot-tall vodka distillation column. The Pilsen production facility isn't open to the public, but CH Distillery's will continue to operate the retail shop, tasting room and distillery at 564 W. Randolph St. in the West Loop, co-founder Tremaine Atkinson said. The company was founded in 2013. CH Distillery bought the vacant land and the former Schoenhofen Brewery bottling plant building at 1701 S. Clinton St. in October. Most of the buildings on the old Schoenhofen Brewery campus, which once numbered more than a dozen, were eventually torn down. In 1977, the city bought the property, hoping to sell it to a developer, according to the Sun-Times. The film "The Blues Brothers" used the property for an orphanage scene in 1980.